The last couple of years have been busy with a lot of time consuming client work. I am still doing freelance contracts, but I am also working on some new personal projects this year. Sometimes it’s hard to find (ie. make) time to work on personal work. I am realizing now why it’s so important to do. It’s important, as a creator of any kind, to work on something just for the love of it. Maybe you show it to people, maybe you don’t. Without the pressure of “will this make money?” or “will they like it” or “is it good enough?”. So this year, I will MAKE time to draw what I want every now and then, without any rhyme or reason, just because. 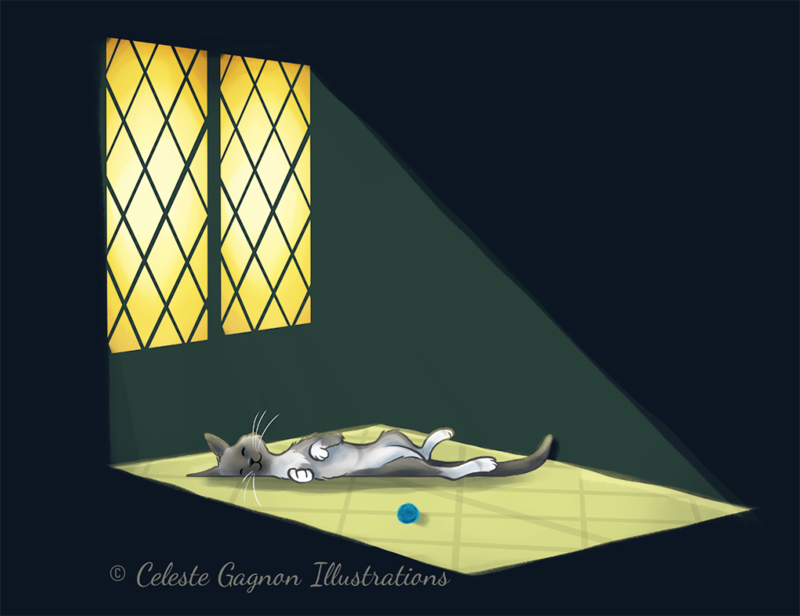 This week it’s cats in sunbeams. Just because.